Hello my fellow SEOers! 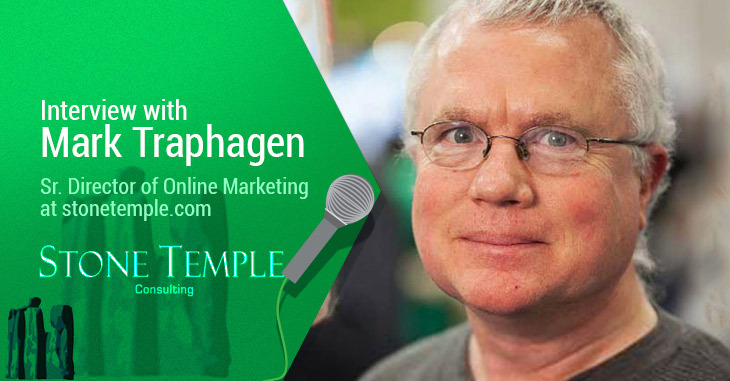 This time I have Mark Traphagen, Senior Director of Online Marketing for Stone Temple Consulting. He is a well-known expert on Google+ and Google Authorship. He is also a speaker on major conferences like SMX, Pubcon, ConvergeSouth and SearchExchange. Thank you so much Mark Traphagen for spending the time to answer all of my questions! Q. I see that you’re only active on Google+ with huge fan base. What do you think are the unique features in Google+ when compared to Facebook and Twitter? A. It’s true that I built my audience on Google+, but these days I’m just as active on several other social networks, primarily Twitter and LinkedIn (I keep Facebook mostly for personal use). I got into Google+ on its third day and was immediately intrigued by Google’s plans to integrate the social network and profile system into many of its other products. My following there blew up (currently over 120,000 followers) because I was explaining Google integration and its implications for things like search in ways that few others were. There’s little doubt now that adoption of Google+ by the general public fell way below Google’s original hopes. Nevertheless, it succeeded for Google by getting billions of people to create Google accounts and by adding a single-sign-in social layer to Google. 1. Its effect on personalized search. Since I’m an active user, when I search Google while I’m logged into my account, I often see relevant Google+ posts from people and brands I have circled. Most of the time, those prove to be useful results for me. 2. Hangouts, which continue to be the one killer feature birthed out of Google+. I think the recent move to allow Hangouts to stand as their own app apart from G+ was a smart one by Google. Q. Please share some tips on managing a large number of followers on Google plus! How do you keep engagement levels so high? A. My number one tip for managing the people you follow on Google+ is to forget about trying to put people in topical circles. Communities are better for following topics. 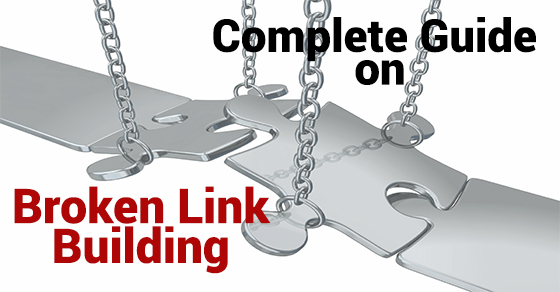 Instead, create three main circles: Notify Me, More Posts, Standard Posts, and Following. Go to your Home stream and select the Notify Me circle in the top tabs. Click the bell icon on the upper right to turn on notifications for this circle. Now, click on each of the other circles you created above and go to the settings for that circle (gear icon at upper right). Check the box to show the circle in your home stream and then, hover over the Amount menu and select the amount of posts you want to show corresponding to the circle’s identity (More for More Posts, Standard for Standard Posts, and Fewer for Following). Finally, go to People, then the Your Circles tab, and drag and drop everyone you follow into one of the four circles, depending on their priority to you. Keep your Notify Me circle small, as you’ll get a notification for every post from people in that circle. Doing this will make your Home Stream so much better! From time to time, I re-evaluate and move people up or down the circles. Managing followers is harder. At my level of followers, you literally get hundreds of notifications a day. I’ve learned to quick-skim the notifications to look for what I need to see and what I can skip. The new Mentions tab is a big help, as it is a quick review of any posts where someone has mentioned me. Q. Google officially stated that they have discontinued rel=author tag. What are your views on this and what do you think is the reason behind this move? A. Well, that’s a big topic. Fortunately, Eric Enge (CEO of Stone Temple Consulting) and I wrote a comprehensive post for Search Engine Land covering the demise of Google Authorship and our thoughts on why Google killed it. See it at http://stonet.co/AuthorshipDead. I know that some people speculated the ending of Authorship-highlighted posts in search was caused by those results taking clicks away from the Adwords ads. However, I don’t buy that and I give my reasons in the article linked above. I think it had to do with a combination of wanting to simplify the search results pages for the mobile age, along with a possible conclusion by Google that verifying quality authors was not something they could really do yet. That being said, I don’t believe for a moment that Google has abandoned the idea of author authority as a search factor. I just think it will be years before they will be able to really implement it. When they do it, it will be in a more subtle way than Authorship. However, I don’t expect we’ll ever see author photos in search again. Q. If Authorship didn’t work, then according to you, how else can Google to identify quality content and its ownership across the web? A. I think the Knowledge Graph is the answer to that. For those that are unfamiliar with that term, the Knowledge Graph is the general name given to Google’s project to build algorithms that can “learn” and understand the identities of people, places, and things, and also, understand the relationships and relative importance levels between all those things. We see the first fruits of the Knowledge Graph in the boxes with instant answers and related facts you often get in Google Search now. 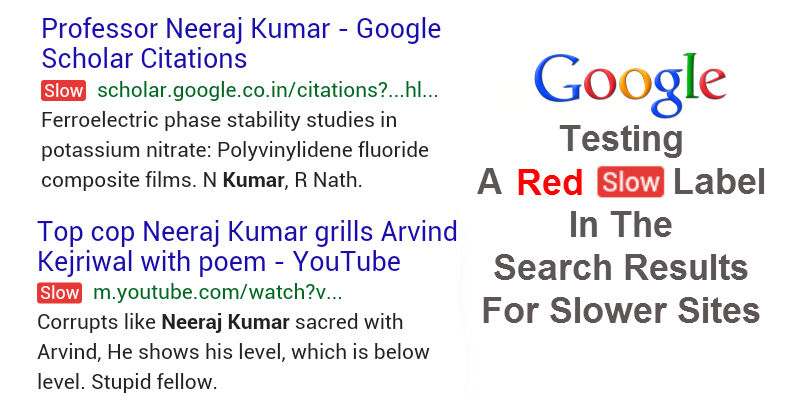 I think Google realized that Authorship based on rel=author markup could never scale. They would never get enough authors and publishers implementing it and many that did, weren’t doing it correctly (see https://www.stonetemple.com/authorship-adoption-fail-detailed-stats). However, the promise of the Knowledge Graph is that, over time, they will be able to better identify authors and connect them with their content via automation. Once they feel they can rely on that data with high confidence, they can then correlate quality and relevance signals for content to authors and include that as a factor in search. A. I’m not a local SEO expert, so I’ll refrain from sticking my neck out too far on this topic! Nevertheless, anyone with a local business should, without a doubt, create and/or claim a Google+ Local Page for their business and learn now to optimize it. The new Google My Business platform has made this a lot easier to do. Also, webmasters should become familiar with schema markup, which is a way to tell search engines what information on your web pages identifies your location, contact info, hours of operation, and other pertinent data points. Q. How do you measure social media success? What KPIs would you like to measure? A. I think the most important determinant of your KPIs is a clear understanding of your goals for social. In our case, we don’t expect social media to be a direct channel for generating clients. We understand the sales cycle for our business. Our typical client signs a contract after a relatively long and gradual relationship-building process. So for us, our content and social media presence exist more to help build and expose our reputation and authority in our industry. Following from that goal, our chief KPIs center around how and where our content is getting shared, and most importantly, to whom it’s being exposed. Our primary question is: is our content reaching our target audience (people who are likely to influence a large company’s decisions about hiring a digital marketing agency)? Evaluating that has led us to some hard but important decisions, including abandoning some social media efforts that were fun for us to do, but didn’t seem to be reaching or affecting our target market. Q. How can a company motivate disengaged users to interact with their content? A. The first thing I’d say to that is understanding the importance and meaning of social media engagement metrics. (I wrote about this at http://stonet.co/1JmsmZ4) Engagement should not be the main focus of your social media (likes and re-tweets don’t put food on your table! ), but they can be a measure of the effectiveness of your content. You have to experiment with your content and social sharing until you find that you’re producing things that resonate with your audience, things that truly hit them where they live, that speak to a need, or a problem they are trying to solve. Listening to what others are talking about is an important part of that and one of the values of social media. However, I want to emphasize strongly on how important it is to invest in the quality of your content. People get inundated with so much online these days. If your content doesn’t stand out and provide real value, it will get ignored. Q. What are your tips for marketers to target the right audience with their content? A. Really answering this question would require a book. Thankfully, there is an excellent one, so I’m going to cop out by recommending it: Audience: Marketing in an Age of Subscribers, Fans and Followers by Jeffrey K. Rohrs. That book revolutionized the way I approached both content creation and social media. Q. What are the major misconceptions that you have heard from other authorities/experts and the greater SEO community? Which do you think are the most harmful? A. Another question that could take a book to answer! Unfortunately, there are so many misconceptions. That’s the downside of social media; with everyone being able to be a publisher, it’s hard to discern good information from bad. There are so many bloggers, speakers, and tweeters who just repeat “conventional wisdom” they’ve heard other “experts” say without testing it for themselves. My most important advice in this regard would be to choose whom you follow and read very carefully. Start with a few people who have a proven track record and then, look for the people and sites they share and recommend. 2. The insistence that anything that you can’t trace directly to ROI is worthless. Believe me, I fully know that everything in business has to contribute to the bottom line, ultimately. Yet, I see a backlash rising against content marketing and social media marketing based on the “finding” that they don’t often produce direct sales. To me, this is shortsighted thinking. Yes, it is very possible to throw away money on such marketing. However, if its constructed out of careful strategy with an eye toward attracting and impressing the people or companies that may one day become customers, then those channels have a value unparalleled in the history of marketing. A. My wife would say I don’t 😉 Actually, I’m not a fan of the “work/life balance” terminology as it implies that there is or should be hard, uncrossable lines between the two. If you love your work as much as I do, it becomes one of your passions and it can stimulate and invigorate other aspects of your life. Nevertheless, no one profits from becoming a workaholic or by denying time to family, friends, and recreation. I’m finding that as busy as I am these days, I have to proactively schedule time for those things so I don’t leave them out. Our CEO Eric Enge has been a good model for me in this. As busy as I am, he has ten times the responsibilities and demands I do. However, he makes a priority for little ways to break away from the work. He plays basketball once a week, for example, and being committed to a team gets him away from work and into exercise. Also, he keeps a commitment to go out for lunch every day, even if it’s just to pick up a sandwich and get right back to the office. That means that at least once a day, he’s going to break away from his desk and computer. Well that wraps up this very interesting interview. Thanks for sharing all of your expertise and insight with us, Mark. I lioke all the points you have made.